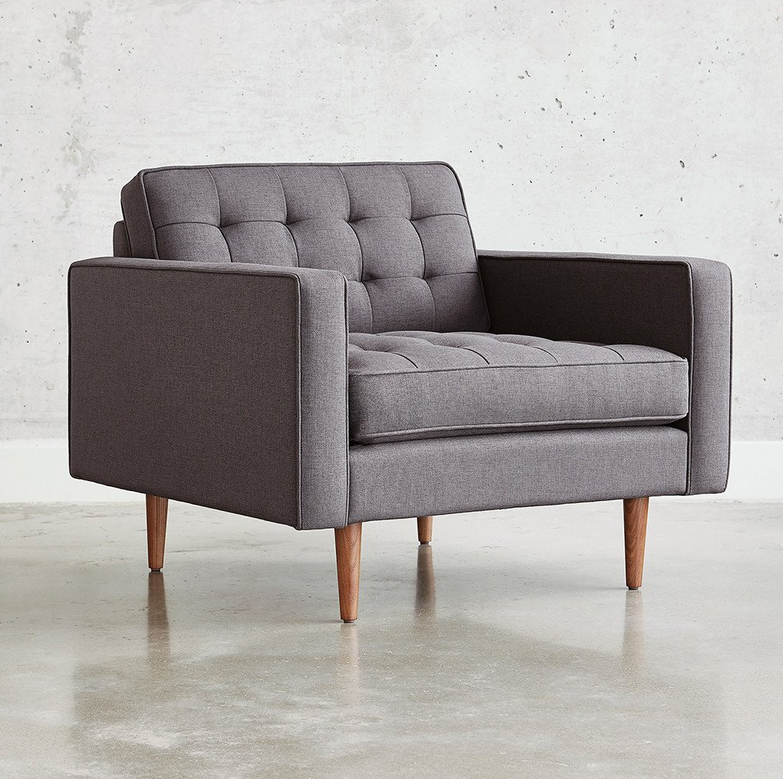 This chair has a blind-tufted seat and back cushion with a stainless steel base. Constructed with 100% FSC®-Certified Wood in support of responsible forest management.This chair is also available in a solid wood walnut finish base. Constructed with 100% FSC®-Certified Wood in support of responsible forest management. 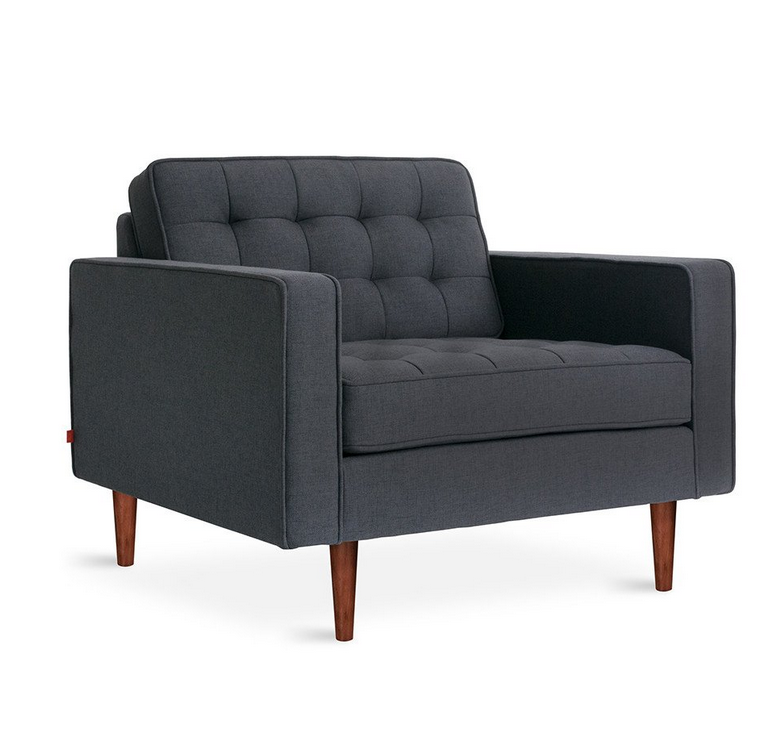 - Top-stitched, tufted seat and back cushions. 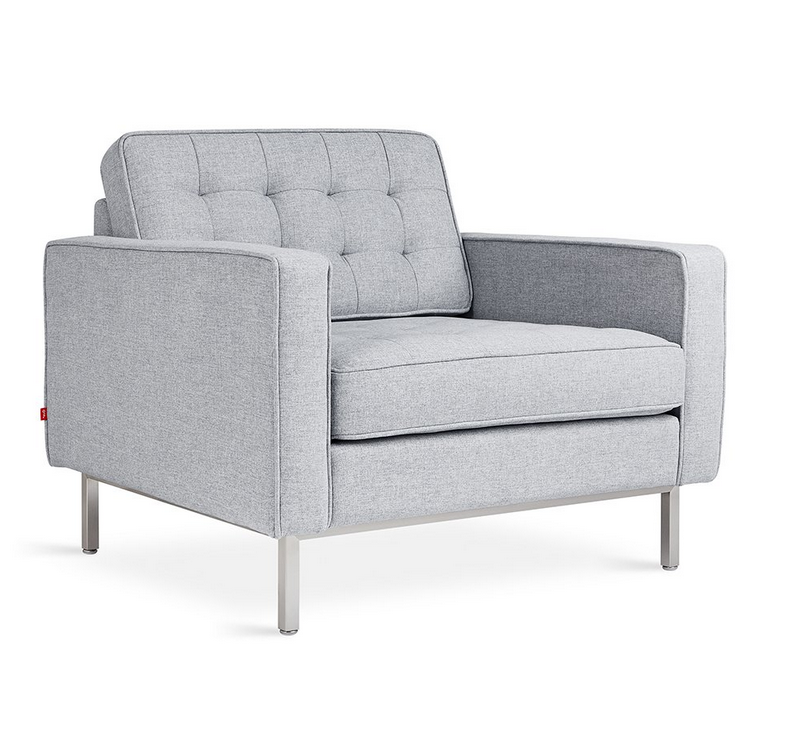 - Also available with walnut finish wood legs. 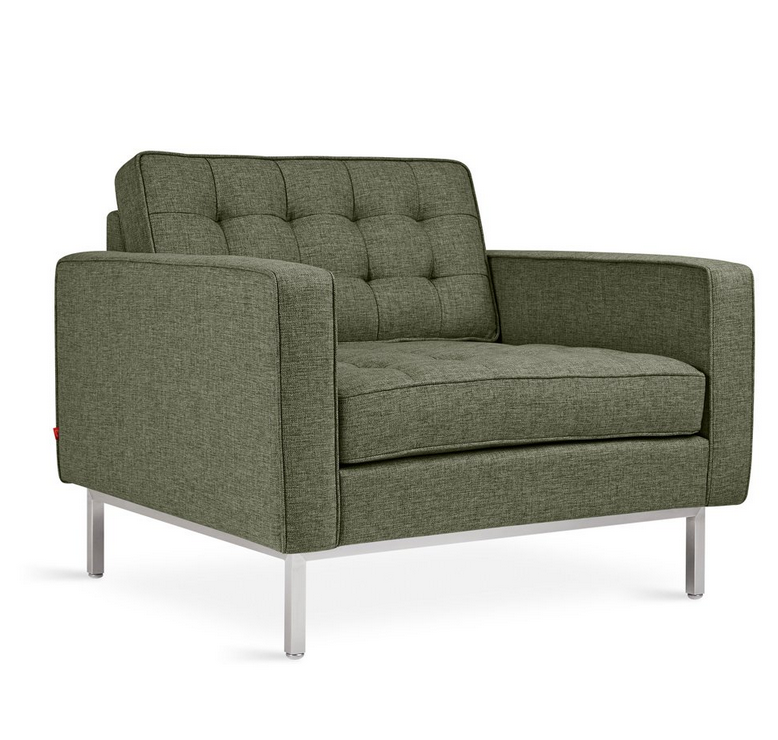 - The Spencer is also available as a chair or sectional. - Kiln-dried 100% FSC®-Certified hardwood frame (FSC® 092551). 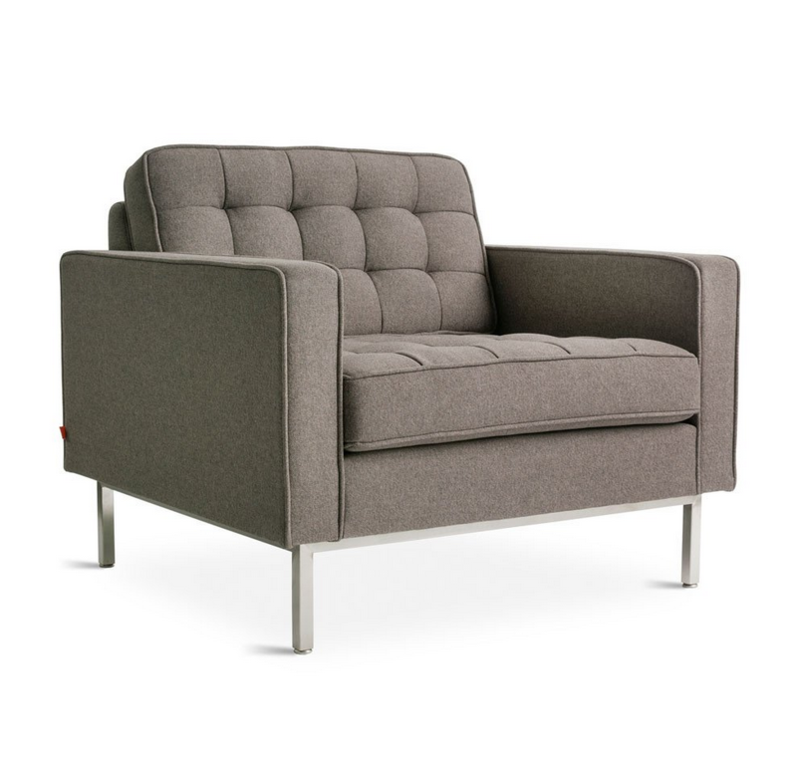 - Matches perfectly with the Spencer Sofa and Loft Bi-Sectional.